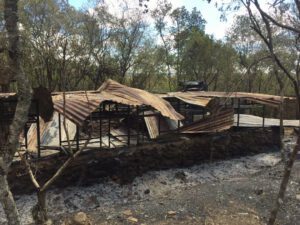 Arson of Rangers’ base at Ol ari Nyiro, Laikipia Nature Conservancy, Kenya – 25-4-2017. This time a Rangers base including all their kit. This wave of terrorism continues unabated and Kuki’s attackers are STILL AT LARGE. We are working on solutions. 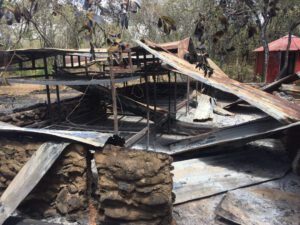 Do you want to HELP us rebuild the Laikipia Nature Conservancy? Please consider donating through our Paypal payment gateway! 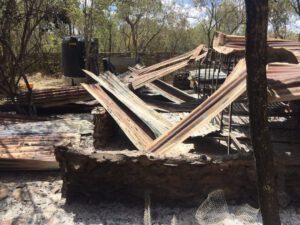 Select in the form below at the ‘I would like to designate this donation to a specific fund’ option: ‘Project Phoenix – Rebuilding of Mukutan’ if you want to donate specifically to the rebuilding of our Conservancy.